That a single currency, the euro, would fracture rather than unite Europe was understood long before the euro's introduction as legal tender on January 1, 2002. The euro, the currency of 19 of the 28 member states of the European Union, is only one of the various institutions tying the member nations of the European union together, but it is the linchpin of the financial integration touted as one of the primary benefits of EU membership. To understand the neocolonial-financialization model, we must revisit the classic model of colonialism. In the old model of Colonialism, the colonizing power conquered or co-opted the Power Elites of the region, and proceeded to exploit the new colony's resources and labor to enrich the core or center, i.e. the Imperial nation and its ruling elites. But the economic pillaging of former colonies has limits, and as a consequence the global financial powers developed the Neocolonial Model, which turns these same techniques on one's home region. In Neocolonialism, the forces of financialization are used to indenture the local Elites and populace to the financial core: the peripheral "colonials" borrow money to buy the finished goods manufactured in the core economies, enriching the Imperial Elites with A) the profits made selling goods to the debtors B) interest on credit extended to the peripheral colonies to buy the core economies' goods and "live large", and C) the transactional skim of financializing peripheral assets such as real estate and State debt. 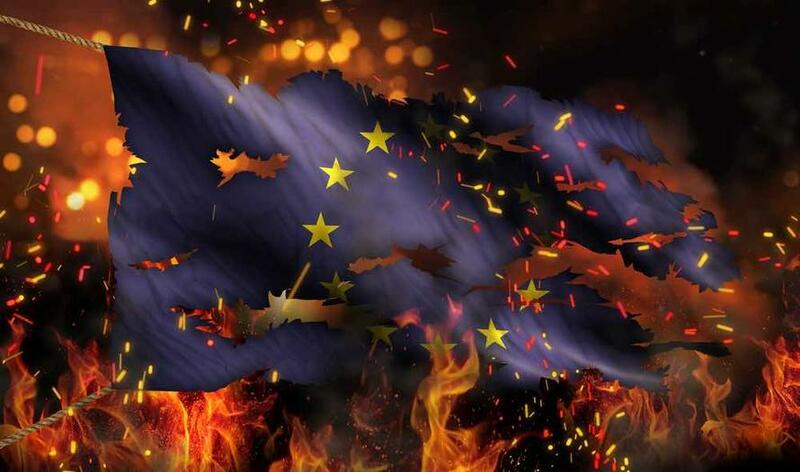 In essence, the French and German banks colonized Europe's periphery nations via the financializing euro, which enabled a massive expansion of debt and consumption in the periphery. The banks and exporters of the core extracted enormous profits from the periphery via this expansion of debt and consumption. The assets and income of the periphery are flowing to the core as interest on the private and sovereign debts that are owed to the core's money-center private banks. 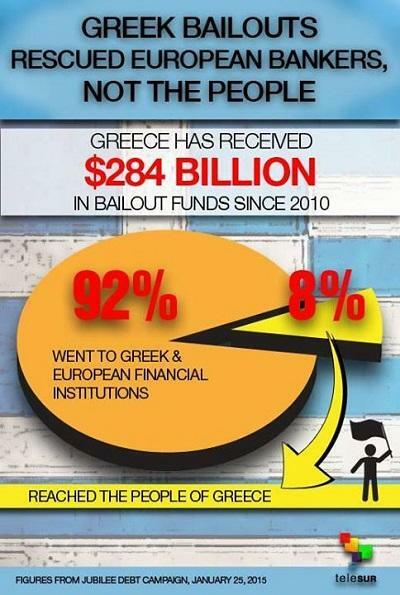 Note how little of the Greek "bailout" actually went to the citizenry of Greece and how much was interest paid to the financial powers. The core has stripped Greece of collateral and political independence, just as the colonial powers of the 19th century stripped the African and Indo-Asian regions of income, assets and political independence. Neocolonialism benefits both the core's financial Aristocracy and the periphery's oligarchies. This is ably demonstrated in the essay Misrule of the Few: How the Oligarchs Ruined Greece. At this point, the financial Aristocracy has an unsolvable dilemma: writing off defaulted debt also writes off assets and income streams, for every debt is the core's asset and income stream. When all those phantom assets are recognized as worthless, the system implodes.